“Typically, if you go to a bar, if you’re going to be drinking,” you would leave your gun at home, Kuredjian said. Ventura County Sheriff Ron Helus, who arrived on the scene to stop the gunman, was shot and killed. He reportedly diverted the gunman’s attention, saving the lives of others. The full list of victims has not been released. The gunman was found dead at the scene when officers arrived. The presence of police officers among the crowd recalls the Las Vegas shooting in October 2017, when many first responders were enjoying the Route 91 Harvest country music festival when a gunman began firing from a nearby hotel. Many of the people inside the Borderline had also been at the Route 91 Harvest event last year, according to a local resident, Gaby, whose friend is a bartender at the Borderline. 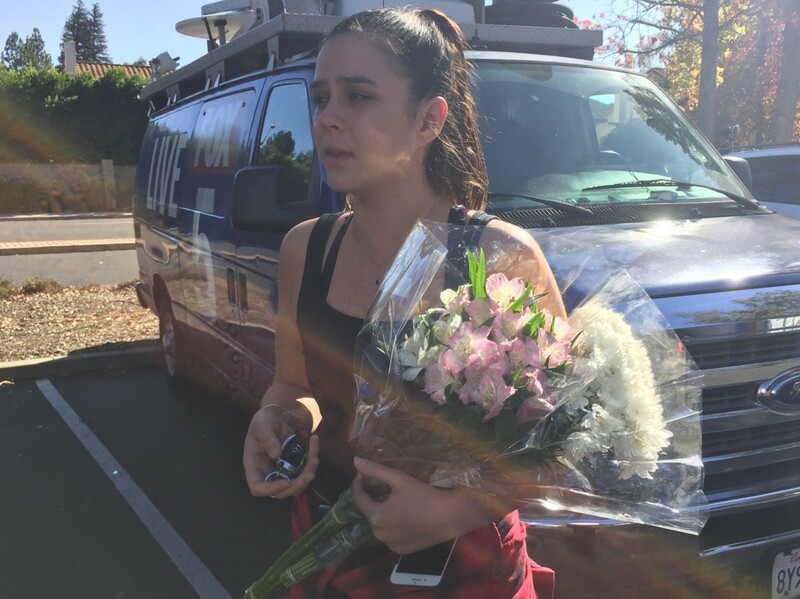 Gaby (who declined to provide her last name), who brought flowers to lay at the scene, said her friend had called in sick last night. “You hear about all these things happening but you never expect it to happen here,” she said. Local and international media camped out across the street from the Borderline as details continued to emerge. The surrounding streets were solemn in the autumn sunshine as neighbors tried to go about their normal routines. A lone gun control protester arrived and spoke to journalists present. The gunman’s motive has yet to be identified. Police had reportedly been called to his residence in April of this year.